Durban based venture capital (VC) company Kingson Capital today announced the launch of a R400-million VC fund aimed at investing in 30 to 50 tech startups and black-owned small businesses. The VC was founded in 2015 and is a registered Section 12J VC company. The announcement of its High-Growth Tech and Black-Owned SME Fund was made by Kingson Capital in a press release today and follows the news on Friday (1 February) that SA entrepreneur Vinny Lingham is involved in a new R500-million Section 12J VC company fund (see here). In Kingson Capital’s first fund (Fund One — see the portfolio here) the VC invested in 10 companies including Finfind – a matching platform for lenders and businesses seeking funding, Spazapp – an online ordering system for the informal marketplace (see this story) and Healthcloud – a data aggregator in the healthtech space. 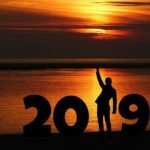 Kingson Capital founder Gavin Reardon told Ventureburn in an email that Fund 1 is fully committed, with 30 investors and limited partnerships having taken part in that fund. He said the 10 businesses the fund invested in employ a total of 102 people, with 30% of these being new jobs created. Revenue of these firms has grown an average of three to five times since the fund invested in these firms in 2015. The VC said the new fund (Fund Two) will allow corporates to not only score points under both the enterprise and supplier development element of the BEE scorecard, but also help expose the corporate investor to a whole new class of assets through its tech fund. Kingson will issue both Class A and Class B Shares to a corporate investor (see below graphic). The split between the classes of shares is to bring symmetry between the Enterprise Development (Class A) and Supplier Development (Class B) components of the BEE Codes, the VC noted. The expected per annum return on investment for investor is 17% per annum. The fund also allows investors to benefit from a third party Guarantee Facility for any debt instruments issued. 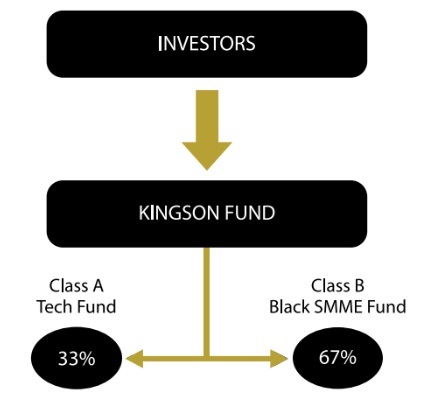 Kingson Capital said funds allocated under supplier development will be deployed in terms of the agreed mandate for each individual corporate, which, in broader terms, means that they will be invested with suppliers who are more than 51% black-owned who possess the potential to add significant value to the corporate’s supply chain. Reardon said while tech is a key focus of Fund 2, the fund will also invest in a wider mandate within the SME sector, namely of black small firms. He said the fund will source black SMEs through various means, including the investors supply chain. The fund will also likely leverage its investment in Finfind to source black SMEs looking for funding. “Finfind sees in excess of 500 SME’s per week, and we see significant benefit of this deal flow available to our investors to support their supply base,” he added. Reardon said in an earlier statement issued by the VC, that while the VC might invest across all stages, his team prefers to invest in serial entrepreneurs who have started and run businesses before, even if they weren’t successful. Explained Reardon: “We prefer co-founders, as two people bring different skills and strengths and the weight is not on one person’s shoulders when the going gets tough – as it often does in the startup world”. Editor’s note (5 February 2019): The original article has been updated to include Kingson Capital founder Gavin Reardon’s responses to questions Ventureburn emailed to him (on such things as how the fund would work and what the performance of Fund 1 was), which he replied to only following the publication of the initial story. (8 April 2019): On 2 April, the US government, through the United States Agency for International Development (USAID), announced a guarantee commitment for the fund. It means that up to $10-million of funds disbursed as debt to Kingson Capital’s portfolio companies will be supported by a 50% guarantee by the US Treasury through the USAID Development Credit Authority (DCA). 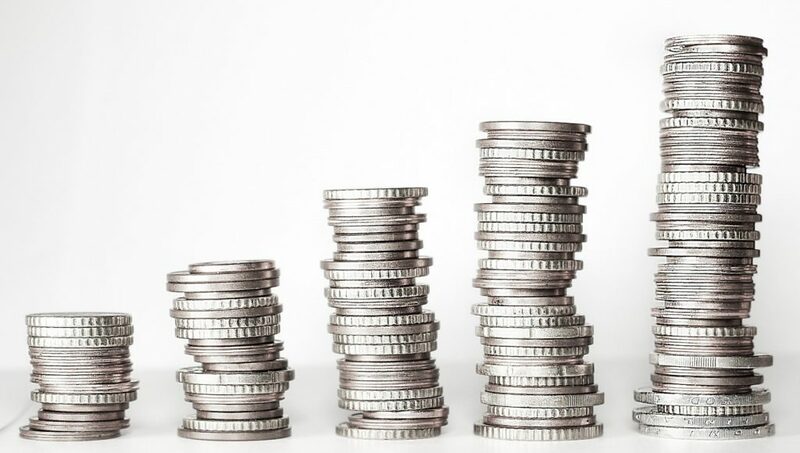 “This means that founders and high-growth stage small and medium enterprises (SMEs) will benefit from a wider pool of access to capital to support their growth,” Gavin Reardon, Founder and General Partner at Kingson Capital, said in a statement at the time.